As well as earlier this week launching a series of ‘data trust’ pilots in partnership with central and local, the Open Data Institute (ODI) has also called on the government to publish more map data and wants the Geospatial Commission to make geospatial data as open as possible. It has also launched a data initiative with the Lloyd’s Register Foundation to make the UK’s ‘built infrastructure’ safer. The two bodies have called on engineering and safety organisations to join them in improving safety by sharing and publishing data. In calling for geospatial data to be opened up, the ODI argued Internet giants such as Google and Apple now steward vast amounts of closed geospatial data, which is used in their services, but which is largely inaccessible to others. It warned that the development of key technologies, including autonomous and connected vehicles and drones is set to stall if critical geospatial data remains closed. The ODI has published two papers around the geospatial data topic. The first is its response to the Geospatial Commission’s call for evidence towards the UK’s Geospatial Strategy which will be published in 2019. The second is a report, ‘The UK’s geospatial data infrastructure: challenges and opportunities’, which was produced for an innovation project exploring the challenges faced by the UK’s geospatial data users as well as the opportunities to support the publishing and use of openly licensed geospatial data. Both papers were launched at this week’s ODI Summit. The ODI argues that the Geospatial Commission should work with public sector organisations to explore different business models, notably those that represent alternatives to paying to use and share data. It also wants to see the Commission support broader debate around the prospective roles of public, private and third sector bodies in maintaining and enhancing the UK’s geospatial data infrastructure. And it wants the Commission to consult on whether public sector organisations should have powers to mandate access, use and sharing of data – in defined ways – held by large firms. ODI chief executive Jeni Tennison said, “Like other parts of our data infrastructure, we believe that geospatial data should be as open as possible while respecting privacy, national security and commercial confidentiality. In many cases, geospatial data can be open data for anyone to access, use and share. 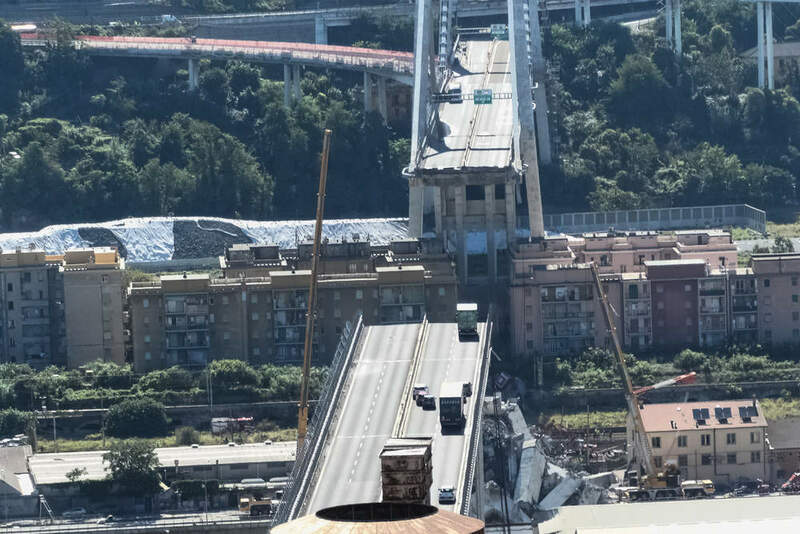 On built infrastructure, the ODI and Lloyd’s Register, a charity which helps to protect people and property, highlighted the consequences of unsafe infrastructure, citing the collapse of a section of the Morandi Bridge in Genoa which led to the deaths of 43 people. The ODI and Lloyd’s Register argued that such accidents could potentially be avoided if more data was shared, openly published and available on built infrastructure, allowing structural problems to be identified and improvements to be made. For example, it said, data on the design and maintenance of bridges could help drive greater investment in maintenance or improved designs; data about ships could be used to predict faults and create safer environments at sea through early interventions; and data about drones or driverless cars could help highlight safety risks.